Befrienders are volunteers, who spare an hour or two a week to visit a lonely or isolated older person. Initially, we visit the client to establish his or her needs and interests. We then try to find a suitable befriender who will make regular visits. This is a hugely rewarding experience for our clients AND the befrienders. We currently have over 70 clients benefiting from this service. See what Alan and Raine think about our Befriending service. See what Mercedes who has volunteered as a Befriender with Age Concern Epsom & Ewell for 4 years says about being a Befriender. “When my dear mum passed away I felt that I wanted to do something for the elderly. Especially those who have little contact with others. 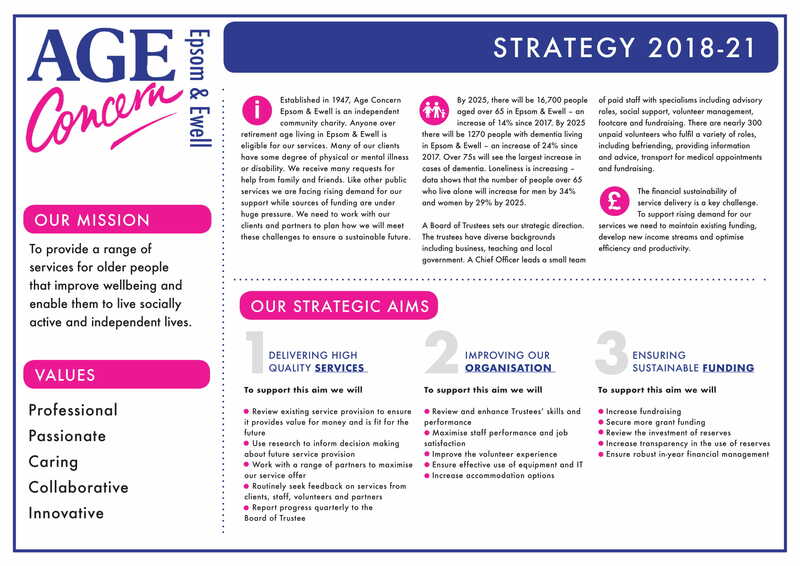 When I saw an advert in services booklet I took the opportunity to get in touch with Age Concern in Epsom & Ewell and volunteer as a Befriender. I find nothing more satisfying than seeing a lonely face brighten up when I visit. An hour’s visit (or longer if wished) once a week is a big improvement to someone who is on their own at home. Chatting about the old days over a cuppa and having a laugh makes a big difference to a long day. We urgently require Befrienders to join our team as there is always a long waiting list. If you have a few hours a week to spare get in touch as we know many people who would really appreciate your time.